This campaign ended on October 26, 2017, but you can still make a gift to Colorado School of Mines by clicking here! Colorado School of Mines has a longstanding reputation of producing engineers who go above and beyond the general expectations of the field, and who ultimately improve the communities around them. Mines Without Borders (MWB) is the vessel by which these prospective engineers are able to contribute to underdeveloped and overlooked communities around the world. 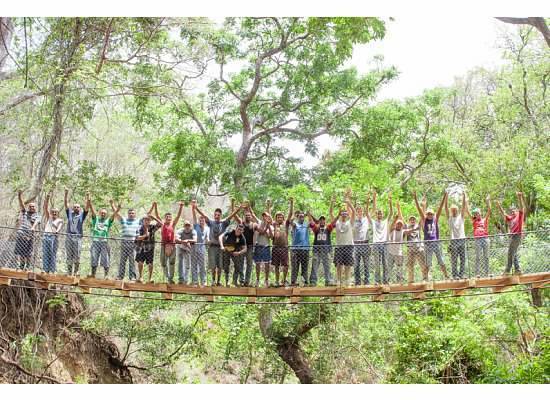 As a student chapter, MWB works directly with Bridges to Prosperity and Engineers Without Borders to pursue collaborative and sustainable community-driven projects that have a lasting impact on underrepresented communities. 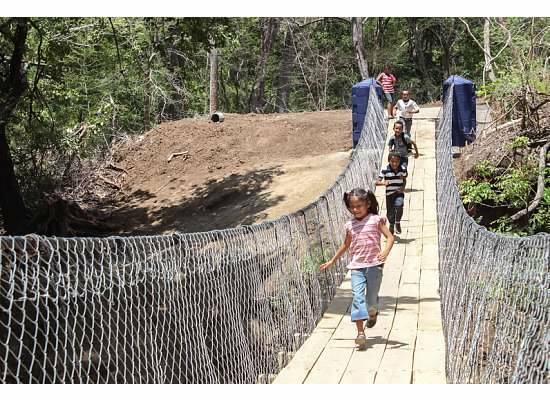 With your help Mines Without Borders will be assembling a 40-meter footbridge in San Juan, Nicaragua this December near the town of La Conquista. Communities, like the ones surrounding La Conquista, are ravished annually by rampant flash floods and rising water levels, which cut off the community’s access to essential health care, education, and economic opportunities. During the rainy season, these rivers turn into dangerous torrents of water that can be life threatening. This bridge, when fully constructed, will directly address these issues by establishing a means of unfettered, above ground, access to the resources these communities desperately need. We have already gone through multiple iterative steps to design and finalize the bridge plans. We have a team set-up in the community and in the nearby municipality to aid us in construction and resource aggregation. We have also finalized a timeline for construction and implementation of the bridge. Now, we need your help in gathering the necessary funds that will pay for the travel, construction, and resource costs. With $2,000 we will be able to send a team down to Nicaragua to oversee construction of the bridge and to pay for the resources necessary for its construction. As engineers, we have the opportunity and ability to give back to communities that are less fortunate than ours. Your contributions will help facilitate this vision into something that is long-lasting, forward-thinking, and concrete. If you would like more information about Mines Without Borders please visit our website by clicking here.